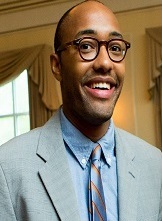 Justin Williams is an assistant professor of history at the City College of New York that specializes in the politics of modern Africa and its diaspora. He is author of the book Pan-Africanism in Ghana: African Socialism, Neoliberalism, and Globalization​, part of Toyin Falola’s Africa in The World Series on the Carolina Academic Press (2016). Williams has also published articles in African Studies, Journal of Pan African Studies, and 50 Events That Shaped African American History (Forthcoming on Greenwood Press). He is an avid fan of the Kansas City Chiefs, Royals, Sporting Kansas City, University of Missouri Tigers and New Jersey Devils. Pan-Africanism Ghana: African Socialism, Neoliberalism and Globalization (Carolina Academic Press, 2016).